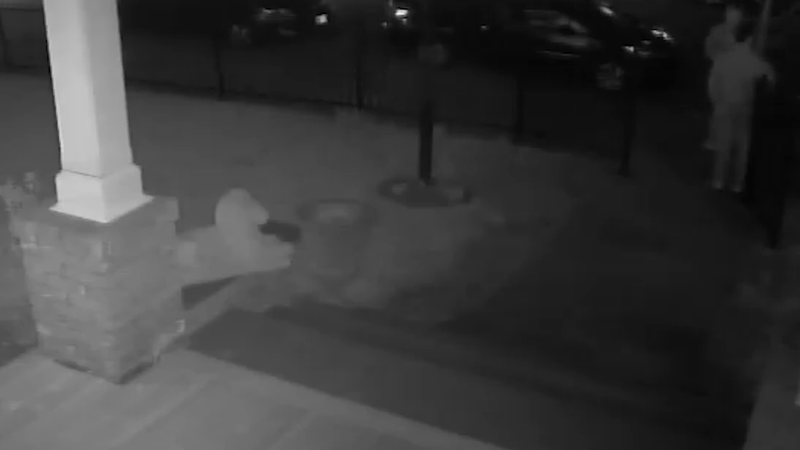 (By Associated Press, April 8, 2019) – WEST CHESTER, Pa. — Two thieves who snatched a statue of a lion from outside a home in a Philadelphia suburb had a change of heart after police posted surveillance video of the heist. The statute was taken from the West Chester residence on Wednesday. But by Friday, police posted a video of the thieves returning it. They also left behind a bouquet of flowers and a card. Police say it was a “smart move to return the property” and the owner is grateful.